The shower room has the characteristics of less floor space, rich shapes, and easy installation. It can also achieve the purpose of dividing the space and distinguishing functional areas. It has become a key project for the bathroom renovation. Due to the lack of understanding of it, many details are neglected during the purchase and use. It brings a lot of trouble to daily life and it also raises doubts about its practicality and safety. 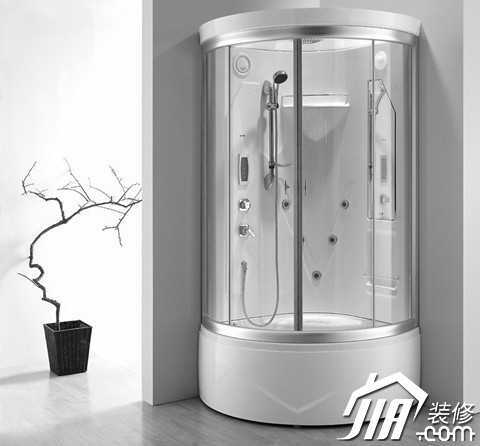 The material determines the safety of the shower room: The glass has the characteristics of permeability, moisture resistance, good processing performance, and small footprint, which is very suitable for the space division of the bathroom. Therefore, the shower room is generally made of glass or organic glass. Because of its poor performance in terms of aging resistance, strength, and abrasion resistance, plexiglass uses less and less shower enclosures. Ordinary glass is not safe because of its poor rigidity and fragility. Therefore, the shower rooms produced by responsible manufacturers are made of toughened glass that is excellent in strength, rigidity, and other aspects. When consumers choose a shower room, considering the safety and durability, they must choose products made of tempered glass. However, toughened glass looks like ordinary glass and it is difficult to differentiate with the naked eye. Therefore, when buying a shower room, you must choose a brand and a business with a large scale, high credibility, and after-sales service to ensure that you can buy high-quality products. The general recommendation is to choose one of the ten major brands of the famous brand Rising Sun shower room to be relatively secure. l Top carton staplers ensure fast and secure lid closing. They do not need counter pressure like a normal stapler. l Fast staple depth adjustment designed for ease of use. l Anti-gravity hanger ergonomically designed for faster production. l Secondary rubber grip for comfortable two handed operation.